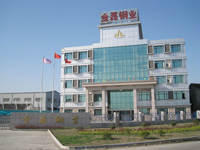 The Jiangsu Xinjinlei Steel Industry Co., Ltd. is situated in the graceful and rich water countryside south of the Changjiang River,in the famous Pottery City-Yixing from 2001. It owns area of 70,000m2,the production area about 32,000m2, with the annual output capability over 35,000 ton. Our products put into market range in: 220kV Transmission Line Steel Pole, 500 kV Steel Tubular Tower, Substation Structure, Wind Power Pole, Telecommunication Pole etc. 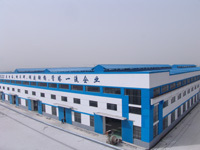 The company has nine departments which are Sales, Sell, Fabricate, Quality Control, Design, After Service, Commercial, Financial, Equipment department, and we have eight main workshops. The company has more than 280 staffs currently. 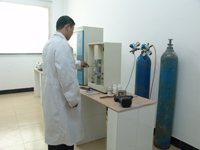 We have own experienced team of engineers with 28 senior and junior technicians. The company has passed ISO9001:2000 quality management system certificate issued by Moody International Group, Uk. Our firm introduced whole set of good-sized numerical control hydraulic bendind press(1000/12000, 24000/14000), flame cutting machine, automatic angle steel product line, lengthways cut machine, plate-flatted machine, drill machine, argon arc welding machine, hydraulic straightener, hydraulic planing machine, auto-closed up machine, gas metal arc welding machine, crane hoist etc.at the same time, we have corresponding testing equipment. In the full conviction that: Superior enterprise built by the high efficacious works, high efficacious works based on scientific management, and scientific management taking its source at excellent staffs, with the business idea of "your contentment is our pursuing", we should wholeheartedly cooperate with craft brothers at home and abroad for the common advancement. 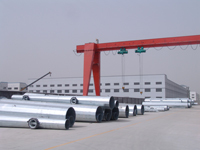 Company Name: Jiangsu Xinjinlei Steel Industry Co., Ltd.